Three childhood friends decide to form a hip-hop group called the Style Boyz. Conner, a musical prodigy, recruits his friends in hopes of finding fame and fortune in the music field. Having a musical group is not all it's cracked up to be when one of the members, Lawrence, learns that he did not get any writing credit on a song he co-wrote for the group. Like many real-life musical groups, Style Boyz breaks up and Conner goes solo. His new found celebrity tends to strain his relationship with his childhood friends. Conner learns that fame can be bitter when his first solo album does not do very well on the charts. 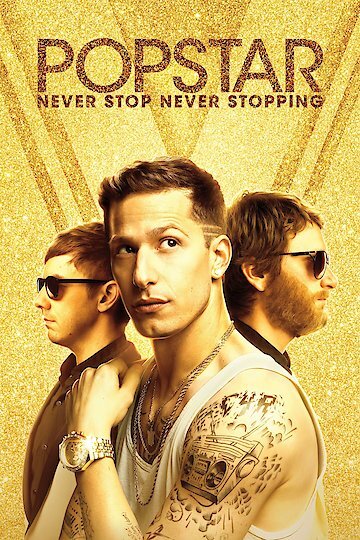 Popstar: Never Stop Never Stopping is currently available to watch and stream, download, buy on demand at FX+, FOX, Amazon, Vudu, FandangoNow, iTunes, YouTube VOD online.